Calling All Friends and Family: Additional Tour Opportunities. Are you accompanying a member who will be attending the Grand Council Meeting on Saturday morning and wondering what to do? We may have just the ‘ticket’! 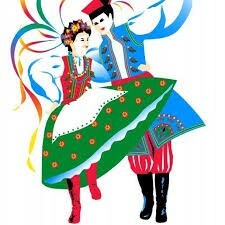 We have arranged for a Hop On, Hop Off Sightseeing tour on Saturday May 25th. Explore Milwaukee at your own pace while you visit key neighborhoods such as Brady Street, Walker’s Point, Historic Third Ward, and key attractions including the Milwaukee Public Market, Milwaukee Art Museum, Harley- Davidson Museum and more. You can Hop Off at any of he stops to explore or stay on the bus and take the 60 minute, fully narrated tour in its entirely. If you exit the bus at one of the scheduled stops, you can re-board an hour later. The bus runs on a 60-minute loop and will therefore be back at the location 60 minutes after you depart the bus. Please Note: Minimal walking is involved but you must be able to enter/exit the bus multiple times; this bus is NOT handicapped accessible. 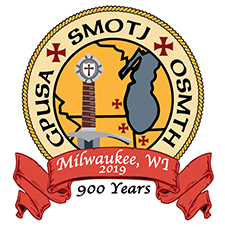 If your stay in Milwaukee includes Sunday and/or Monday and you need something to do while your accompanying member is attending the Grand Magistral Council meetings, you might want to take advantage of the tours planned for those days as well. The day will show off the major neighborhoods of Milwaukee and the immigrant establishments that made Milwaukee what it is today. 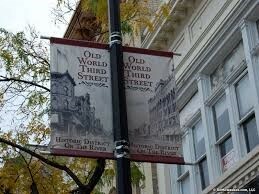 The tour will begin on Old World 3rd Street with an overview of Milwaukee’s German history. Enjoy cheese, sausage and beer or root beer at the Wisconsin Cheese Mart. You will have some shopping time on Old World 3rd Street to visit Usinger’s Sausage or the Spice House as well. 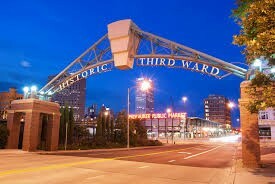 Then you will travel via tour bus to the Historic Third Ward with a narration of Milwaukee’s Irish history and a stop at the Milwaukee Public Market, Milwaukee’s most unique downtown food destination! Bursting with high quality selections of artisan ethnic products and freshly-prepared foods, you’re sure to enjoy shopping the independent merchants found there. Enjoy a generous family-style lunch at Milwaukee’s last remaining Polish restaurant, complete with a green salad, cheese pierogi, mashed potatoes, sauerkraut, Polish sausage, pork cutlets, red cabbage and milk, tea or soda. After lunch, visit Brady Street, Milwaukee’s Italian enclave. Stop at Peter Sciortino’s Bakery for cannoli and Glorioso’s Deli to explore and shop. The day will conclude with a true Milwaukee treat – custard! Please Note: Minimal walking is involved but you must be able to enter/exit the bus multiple times during the day. Your day will start with a visit to Griege Patisserie for a baked good and coffee. Then it is off to the Milwaukee Public Museum. 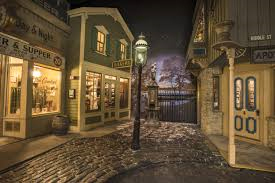 You will take a small step back in time to the turn-of-the-century Streets of Old Milwaukee. This will set the stage for an exploration of Milwaukee’s rich history. You will also have time to explore some of the Museum’s other exhibits. Your step back in time could take you to ancient Mediterranean civilizations, a Costa Rican Rainforest, or you could take a giant leap back more than 65 million years to The Third Planet to see the world’s largest-known dinosaur skull and a life-sized replica of Tyrannosaurus rex. A peaceful stroll amid free-flying butterflies in the Puelicher Butterfly Wing is another option. So much to see….so little time! To honor the German heritage of Milwaukee, lunchtime will find you at Mader’s Restaurant. You will choose from several tempting menu options that include a vegetarian option. After lunch take a short walking tour of this area on which the Streets of Old Milwaukee was based. Next is a visit to the Pabst Mansion. 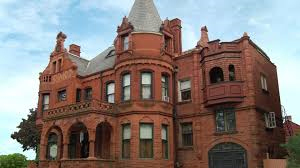 You will enjoy a docent-led tour of this beautiful and historic home where Captain Frederick Pabst, Milwaukee’s original beer baron, lived in his later years. We will end the tour with afternoon tea at the historic Schuster Mansion. During the turn-of-the-century, dozens of Milwaukee’s wealthy elite built their homes on the city’s west side. Schuster Mansion was designed in 1891 by the locally renowned architectural ﬁrm Crane and Barkhausen in the German Renaissance Revival style. Now a Bed and Breakfast, you can look forward to some tea and desserts, with a side of history from the Inn-keepers at the Schuster. If you are interested in any of these Tours, talk with one of the friendly event staff and they will direct you to the Registration desk where you can register. Registrations will close on Saturday May 25 at 12 Noon, so don’t delay!